The developers of iPhone beat 'em up Tap Fu have taken a look at the piracy percentages on their recently released game and, man, are they a black belt caliber kick in the balls. 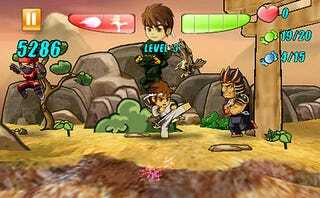 On day one, according to Neptune Interactive, the number of illegitimate copies of Tap Fu submitting high scores to the game's leaderboards was more than 50%. Two days later, it was more than 90% by Neptune's figures. Worse? Neptune's findings indicate that zero percent of the pirates playing ill-begotten copies of Tap Fu ultimately became legitimate purchasers of the app. The full post, which covers just how pirated copies are tracked, how iPhone owners can game for free with their Jailbroken phones and a nice dissection of pirate justification for stealing is at the developer's blog.